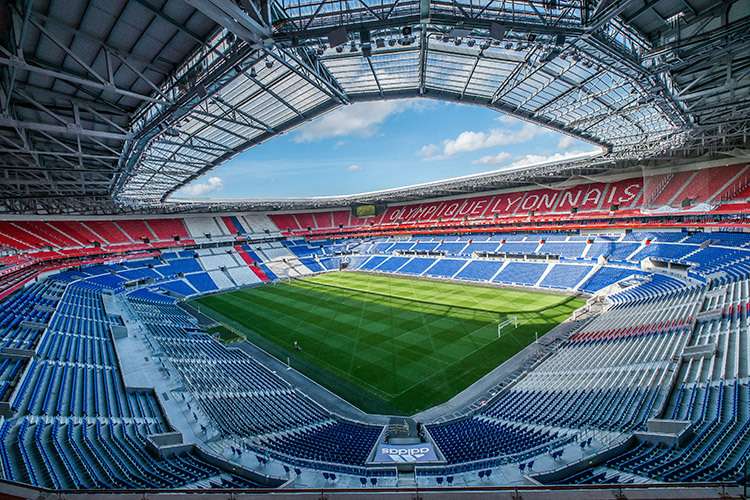 The new build 59,186-seat Parc Olympique Lyonnais stadium, constructed as a host venue for Euro 2016 (four group matches, a round of 16, and a semi-final) at a cost of £340m, is not only one of the most energy-efficient, but also technologically progressive stadia. 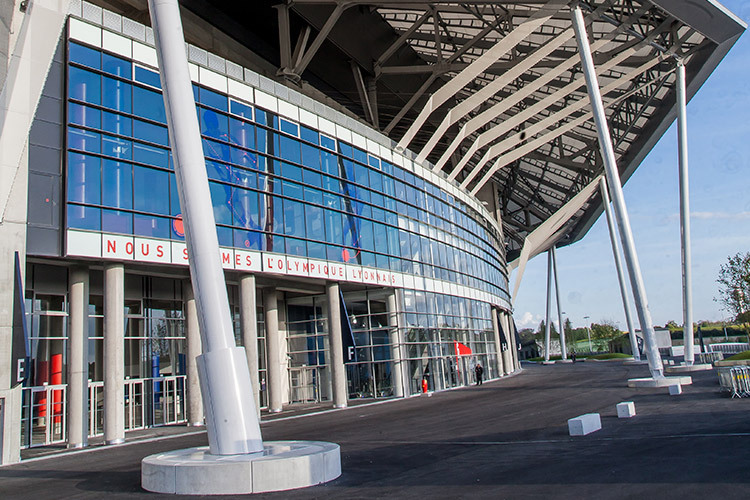 Billed as France’s first “connected” 2.0 stadium, it is arguably the most advanced facility in Europe. 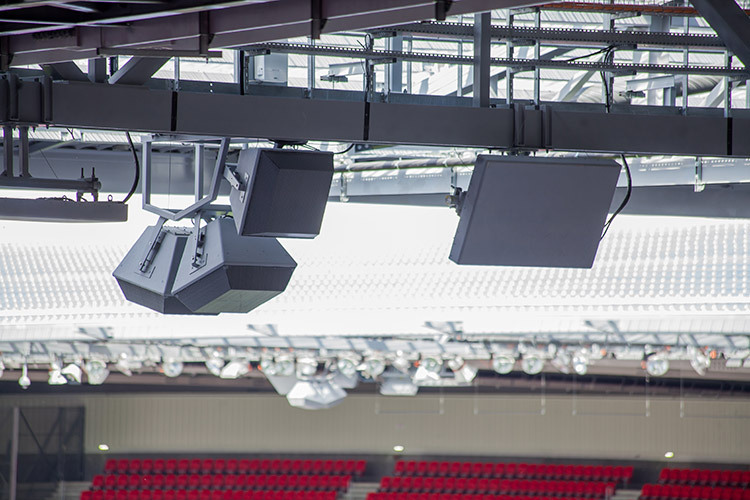 Parc OL’s EAW PA system is powered by a deployment of Powersoft Class D Ottocanali multi-channel switch mode amplifiers representing the best power-to-output ratio ever deployed, and consequently much lower operating costs. 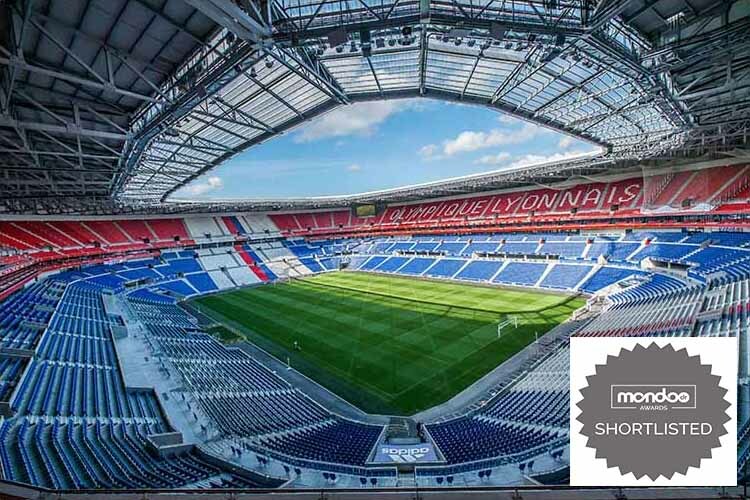 Designed by renowned architects Populous, it is the third largest sports venue in France. 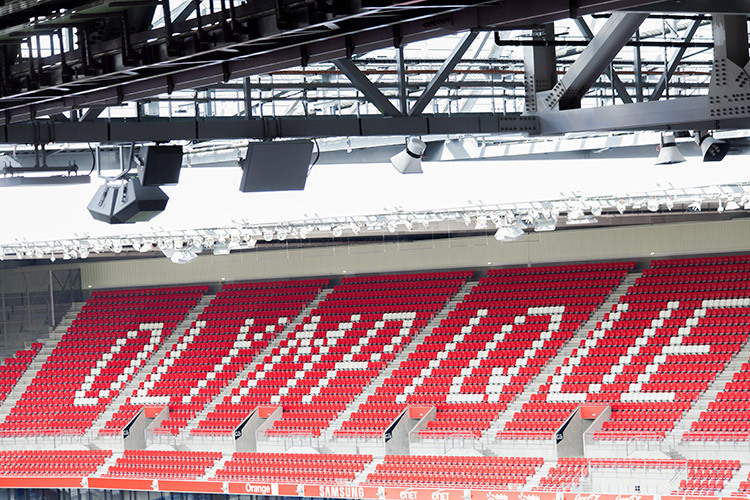 It benefits from an entire Dante network that feeds all areas in the stadium as well as the nearby OBVans, and boasts a TV studio, dozens of LCD TV screens, two 90 sq metres LED screens and a UEFA approved LED Perimetral system. 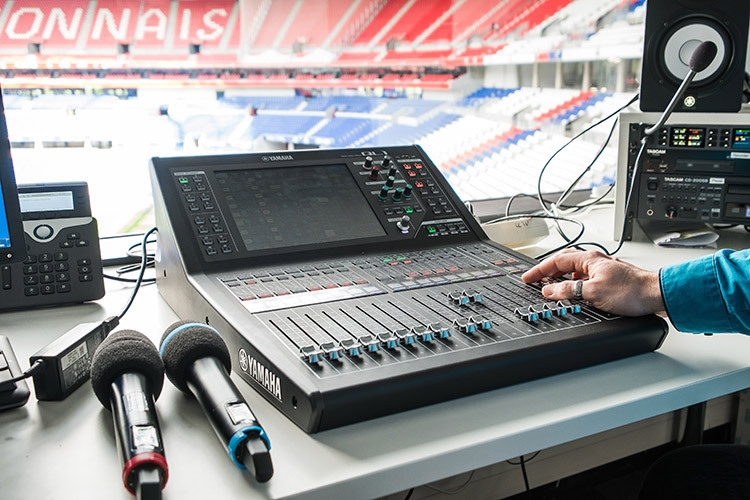 Thanks to the connectivity and services provided by Orange Business Services and the mobile app developed by stadium owner Olympique Lyonnais, over 30,000 fans can connect simultaneously over Wifi for an end-to-end digital experience: They get instant replay and highlights from multiple angles, real time statistics and video interviews by accessing the special mobile app, as well as order food and drinks remotely, book seat and parking space, access the stadium, etc. Finally, in its quest for being a carbon conscious stadium, the roof collects rainwater for internal use. Integration specialists SNEF and AXIANS worked with the design office of Atelier Audiovisuel, the engineering consulting firm in charge of the project. The Powersoft Ottocanalis were recommended for their matchless ‘green’ credentials, dual redundant power supply, reliability and supreme sonic fidelity. 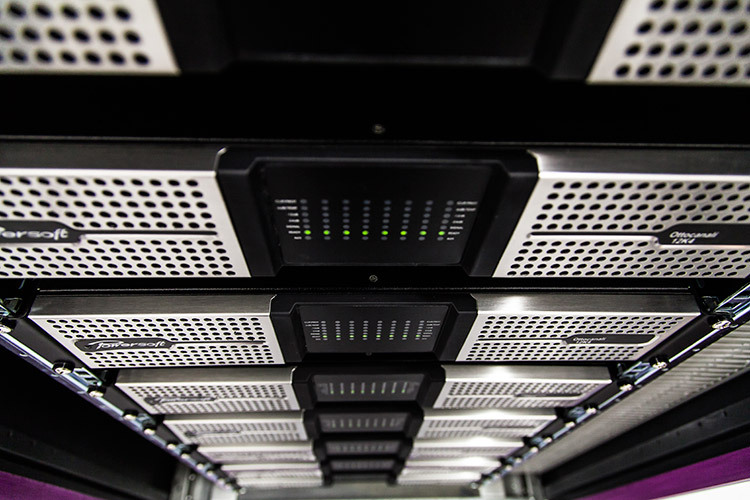 In addition, Powersoft amplifiers boast active damping control to compensate for long cable runs. Logistically, eight independently configurable Ottocanali channels drive 56 EAW loudspeakers. Aside from the vast reduction in operating costs, each compact 2RU device can deliver up to 8,000W of Class D power across the eight channels into a 4-ohm load. The bi-amped speakers feature four phase aligned 12-in cone transducers each. There is also a vast amount of power in the LF, which is a big advantage for a stadium. The two 16mm pixel pitch LED screens, supplied by local AV company Charvet Digital Média, represent over 1 million pixels. Situated in the North East and South West upper tiers, they each have a surface of 88.5 sq metres (12.3m x 7.2m).